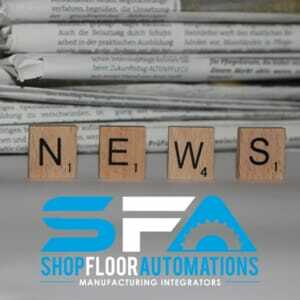 The following is an archived copy of the Shop Floor Automations Newsletter – the NOV/DEC 2017 issue. Do you want to improve your shop floor efficiencies? Would you like to get text messages or email notifications if there is a problem on your shop floor? Our machine monitoring solutions empower managers to identify issues and resolve them quickly. We will be holding a DataXchange machine monitoring webinar on January 10th, 2018 from 10 a.m. to 10:45 a.m. Pacific time. You will see popular features of the data collection system in action, as well as get a chance to ask us questions. If you can’t make the webinar, please feel free to contact us and ask about other opportunities to see DataXchange software. We also have quite a few videos on our YouTube channel to check out. If there was one new piece of technology we would recommend for your shop floor, it would be DNC software. Within weeks or a few months, you will see ROI when you implement this system to streamline your management of CNC programs. If you want to control which file is delivered to the CNC, you need DNC. If you are still carrying USB sticks or PCMCIA cards out to your CNCs to load programs, you need DNC. If you want a better system to manage your CNC programs while saving time, you need DNC. Call (877) 611-5825 for more info!